Remember that Orange Juice Chicken I made the other day? 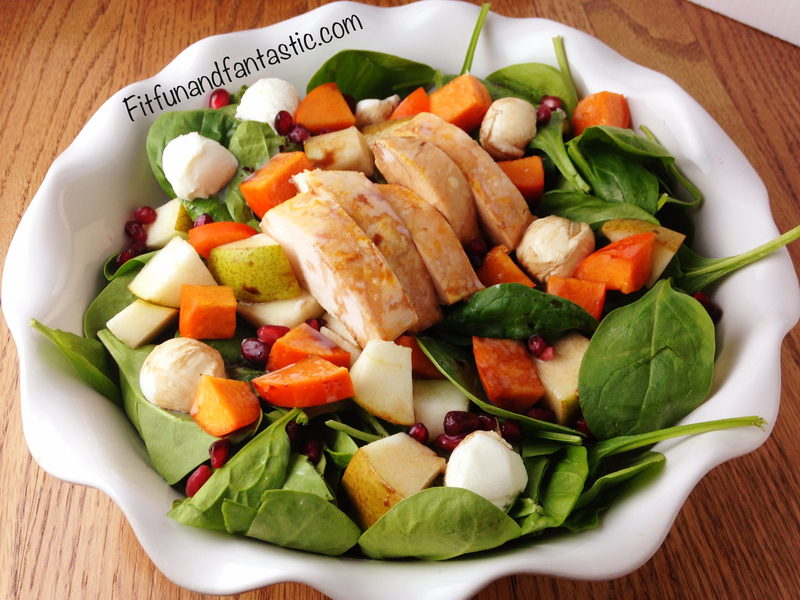 Well I was feeling lazy and didn’t want to turn on the oven… and made this salad. At first my family was hesitant on having a salad for dinner. And, to be honest I am not the biggest fan of salads either. 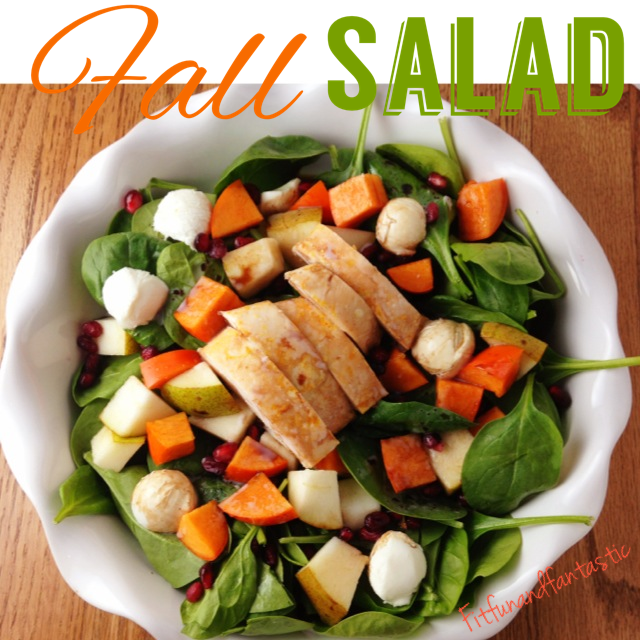 But, let me tell you something this salad turned out soooo good and with all the amazing flavors of fall!! Mix together all salad ingredients. Dressing can easily be doubled to serve more!